COMMUNITY: Serving Glendale and Southern California communities through inclusive on- and off-site programming. MONA was founded as a 501(c)(3) non-profit art museum in 1981, by artists Lili Lakich and Richard Jenkins in downtown Los Angeles. Their intent was to create an awareness for historic neon sign preservation and to showcase this electrifying contemporary art form. After several relocations, (Universal City Walk, Grand Hope Park and the Historic Core), the museum successfully negotiated a permanent home in the city of Glendale where it will anchor the southern end of the Arts and Entertainment Corridor. Throughout its 30+ year history, MONA has fostered an awareness of historic neon signage through its LUMENS project with the City of L.A. and its popular bus tour, the Neon Cruise™. MONA has witnessed the rise and fall of neon used by the sign industry and the current resurgence of neon used by creative artists and commercial designers today. The new MONA facility in Glendale will have a classroom on the premises where visitors can watch skilled neon craftspeople fabricating and processing the neon tube and take hands-on classes to learn this fascinating art form. Dydia DeLyser is Assistant Professor of Geography at California State University, Fullerton. She earned her BA from UCLA in 1992, her MA from Syracuse University in 1996, and her PhD from Syracuse University in 1998. Her research on landscape (ongoing since the 1980s), and her partner Paul Greenstein’s work on neon signs (since the 1970s) led her to her current project: a book on the history of the neon-sign industry in the United States, a project underway since 2010 that involves archival research as well as life-history interviews with tube benders and others involved in the sign industry. She has published widely in scholarly journals in geography, and her 2005 book Ramona Memories: Tourism and the Shaping of Southern California won the Globe Book Award for public understanding of geography. She serves also on the boards of the American Sign Museum, the Museum of Women Pilots and the Heritage Flight Museum, and has been successful in pursuing grant opportunities both for her own research and for the museums she is involved with. Christine Naito has an extensive background in community relations and fundraising on behalf of the Asian American communities in Southern California. She was the chairperson for the Nisei Week Japanese Festival in 1993-94, and was the Public Relations Director and liaison to the Asian American community for Grand Chevrolet in Glendora from 1978-1985. Chris also served as a docent for Gamble House in Pasadena for 12 years, and recently retired from her position as Chief Operating Officer of Little Tokyo Leasing and Sales, Inc., a company she owned and operated with a partner for 23 years with over $11 million in annual sales. Chris is also currently serving on the Board of Directors for The Asia American Symphony under director David Benoit. She is a lifelong resident of Southern California. Urban anthropologist J. Eric Lynxwiler is the co-author of Knott’s Preserved: From Boysenberry to Theme Park, The History Of Knott’s Berry Farm and Wilshire Boulevard: Grand Concourse of Los Angeles. Neon enthusiasts may know Eric as the affable host of the memorable Neon Cruise for the Museum of Neon Art and downtown LA preservationists know him as an LA Conservancy docent for the Broadway Theater district. 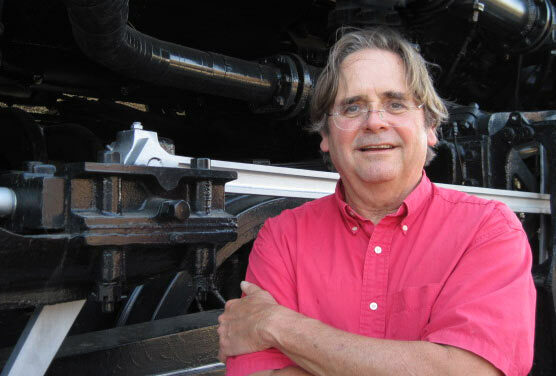 Dave Quick has been affiliated with the Museum of Neon Art for three decades, including serving on MONA’s Board of Directors in the early years. On the art side, Quick’s portfolio of kinetic assemblage sculpture has been featured in nearly 100 exhibitions over three decades. His most recent solo show, “All Systems Go” at the Bleicher/Golightly Gallery in January, 2012, was a participating event in the Pacific Standard Time Art in LA 1945-1980 program. Quick’s kinetic performance constructions, “Solar Koi,” were a commissioned project of the inaugural Santa Monica GLOW Festival in 2008 (in partnership with fellow assemblage artist Elena Siff). In recent years Quick has curated exhibitions at Santa Monica’s Annenberg Beach House Gallery and the Lois Lambert Gallery. Quick’s parallel marketing career included tenure as the Marketing Director of the California Science Center in Exposition Park and National Manager of Research & Market Planning for the Lexus Division of Toyota, among other posts. Quick founded and managed Saturn National Donor Day, a GM-sponsored national blood drive held annually for ten years on Valentine’s Day that included participation by 17 major national non-profit health-related organizations (e.g. U.S. Department of Health & Human Services, American Red Cross, National Kidney Foundation, others). Quick currently serves on the Boards of the non-profits Chris Klug Foundation and Wildfire Research Network. Quick resides in Santa Monica, California. Nights of Neon owner, Lisa Schulte, has worked exclusively in the film and television industry as the “go to girl” for neon for the past 30 years. Her neon film credits include Batman, Spiderman and Jersey Boys; her music videos include Gwen Stefani, Michael Jackson and Prince; and she has worked with directors Clint Eastwood, Steven Spielberg and Joel Schumacher, to name a few. Besides her work for the industry, she is an artist who has been creating and exhibiting her neon sculptures throughout the L.A. region. David has been incorporating neon in his work since the mid 80s. Often the glass/neon is the dominant material. Other works express just the subtle glow of colored light combined with carved wood or other sculptural materials. Growing up on an orange grove in the rural citrus country of Southern California, yet just a mile away from classic examples of State Route 66 neon signage, left an early impression of multi-colored light isolated by the darkness of the night. This childhood of juxtaposition, combined with witnessing breathtaking displays of the Aurora Borealis in Alaska while studying Tlingit art and culture in his mid teens, set David on the path of light. Learning, teaching, sharing skills and knowledge about glass, neon, art and Pacific rim cultures are important aspects of David’s life today. Aside from working in his studio, David teaches at the Academy of Art University in San Francisco, and has taught classes at the Pilchuck Glass School, WA, Corning Museum of Glass, NY, Urban Glass, NY, and has given workshops internationally. He is an active board member of MONA and works periodically with a team of Alaska Native totem carvers on large commissions. Hiromi Takizawa was born and raised in Nagano, Japan and lives in southern California. Hiromi is a glass and light artist who earned her M.F.A at Virginia Commonwealth University. Her work has been exhibited nationally and internationally. She has been traveling to teach and share her passion of glass working at Pilchuck Glass School, WA, Alfred University, NY, and Haystack Mountain of Crafts, MA. Recently she was the youngest artist included in Urban Art Glass Quarterly’s 50 at 50, a list of the top fifty artists using glass that will be relevant in the next half century. She is currently an assistant professor at California State University, Fullerton. Kim has been serving as the Director of the Museum of Neon Art since 1999. Prior to that she was a studio artist working with ceramics, glass and neon. She began working in the field of exhibition display at the Ontario Museum of History and Art in Ontario, the Fine Arts Building of the Los Angeles County Fairgrounds in Pomona and the Peterson Intercultural Arts Museum in Claremont, through the late 80s and early 90s. She has curated over 50 exhibits for the museum including a survey of neon art from the 50s, 60s and 70s called Luminous Beginnings, a traveling exhibit of 84 works for Hsinchu City’s Glass Millennium exhibition in Taiwan and an exhibition for the new Dentsu Corporate headquarters in Shinbashi Tokyo, Japan. She studied ceramic arts at San Jose State College and became involved with neon in 1989. She has served on the board of the International Glass Art Society from 2005 to 2009. Larry Albright is best known for his pioneering work in the development and patenting of the Plasma Globe, which was sold worldwide in the mid to late 80s. He is also recognized for his special effects in neon for films such as Blade Runner, Close Encounters and One from the Heart, to name a few. Candice Gawne is a Los Angeles Artist living and working in San Pedro. Candice maintains a studio at The Loft in downtown San Pedro. She studied art at El Camino College and UCLA, and has served as an art instructor at MOCA, LACMA, OTIS, ISOMATA, the City of Los Angeles Cultural Affairs Department, as well as many other public and private institutions. Her oil paintings, neon sculptures and art furniture have been exhibited in galleries and museums in Los Angeles, New York, Washington D.C., Berlin, Tokyo and Taiwan since 1975. She has original works in many corporate, public and private collections, including those of Frederick R. Weisman, the Cabrillo Marine Aquarium at the Port of Los Angeles and the Corning Museum of Glass. Ted Tanaka is a Japanese-born, U.S. educated architect who first became known in Los Angeles for designing what has become the iconic illuminated glass towers known as “Project Gateway LAX,” in 2000. Tanaka, aware that Los Angeles had very few architectural landmarks other than the Hollywood sign, sought to create a structure that symbolized a city bridging many cultures and containing many moods. Each tower houses thousands of LEDs controlled by a computer that can create kinetic light displays with an infinite color palette. In 2009, Tanaka and his firm collaborated with performance artist Hirokazu Kosaka to design the Gold Line Station in Little Tokyo. Together, their goal was “to create a much needed tranquil space in a very busy city.” Currently he is working on the master plans for a Taiwanese Buddhist Temple near Rancho Cucamonga. In the Early 1970’s, after Eric Zimmerman received his education at the California Institute of Arts, his neon Light Art soon found its way into museums, art galleries and private collections worldwide. Having achieved this degree of recognition he began to focus his attention on architectural uses of his neon art through a series of collaboration with his father, architect Bernard Zimmerman. In 1980, Eric Zimmerman founded Archigraphics and subsequently Architectural Cathode Lighting, which more clearly reflected a further shift from art to lighting. Today, known as ACL, Inc., it has became a leading lighting provider of cold cathode, neon and now LED. Eric has never lost his fascination for light as an art form. I started with a BS in engineering from UCLA and then got an Master of Fine Arts at Cal Arts in sculpture. While at Cal Arts I taught myself laboratory glassblowing, neon technology and I made kinetic and neon sculpture. After graduating, I started working at George Lucas’ Industrial Light and Magic on Star Wars. While at ILM, I received a technical achievement award form the Motion Picture Academy. I exhibited neon sculptures in a number of MONA shows. Neon is important art form that I want to flourish. Being on the advisory board lets me help MONA keep neon art alive and vibrant. While attending UC Riverside I met BIll Concannon, who was developing a passion for neon signs. He went on to have a commercial neon sign business and also do neon art. I went on to become a lifelong neon fan. Besides Bill, I have been fortunate to know various artists including Stu Ziff and Dave Quick, who are also on the advisory board. Neon crosses many boundaries. It is commercial, architectural and historic. It’s intrinsically connected to the urban landscape. It also has a wonderful abstract side, which spans the artistic and scientific. I have received much from neon over the years, including the pleasure of being on the advisory board. By supporting MONA as it starts a new chapter, I hope that I can provide an opportunity for others to experience how wonderful neon can be. Linda Sue Price has been an active member of MONA since 2000. She is an artist who began working with neon after taking MONA’s neon workshop in 2004. Since then she has learned how to bend glass and has exhibited her neon work in several local galleries. Linda’s background includes video production and the production of motion graphics. She has a masters degree in public policy and administration and worked for the City of Lakewood for thirty years doing special projects that included implementing new software technology, planning special events, developing public information campaigns, refurbishing office work spaces and organizing production systems. Ms. Kwong has over 20 years of experience in non-profit retail operations that advance mission statements through museum stores. She has extensive experience in both wholesale and retail sales, product design, manufacturing, catalog design and production (including photography), visual merchandising, buying, and trade show presentation. She is also responsible for curating exhibitions at various venues that connect mission-related content with a strong retail component (Allen Say’s Journey, Dreams to Dreams, Beyond Ultraman, Kokeshi: From Folk Art to Art Toy, Year of the Rabbit: Stan Sakai’s Usagi Yojimbo). Prior experience in the non-profit sector includes management positions at the Autry Museum Store, and the Japanese American Cultural and Community Center. Kwong is the founder of the Los Angeles Toy, Doll and Amusements Museum, a 501(c)3 non-profit organization, and through LATDA has curated toy exhibition partnerships with other institutions including MONA, Pasadena Museum of California Art and Japanese American National Museum. Ed Kirshner of Oakland, California, was born in New York City in 1940. He studied architecture and sculpture at Cornell University, the University of California at Berkeley and the Oskar Kokoschka School of Vision in Austria. After thirty years of developing and financing affordable housing, he returned to study art at the California College of the Arts in Oakland as well as at Pilchuck and Corning glass schools and Northlands Creative Glass in Scotland. His glass and gas plasma sculptures have been exhibited throughout the U.S. as well as in Europe and Asia. His work was selected for inclusion in Corning’s 25 Years of New Glass Review and can be found in the permanent collections of the diRosa Fine Arts Preserve in Napa, CA, the Swiss National Science Center near Zurich and the Chabot Space and Science Center in Oakland. 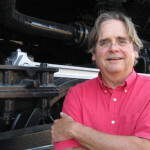 Ed has taught glass and gas plasma workshops in the U.S., Europe and Asia. He is on the faculty of the Crucible Fire Arts School in Oakland and the Glass Furnace in Turkey. He has served as a Trustee and the Treasurer of MONA and is on its Technical Advisory Board. In 2012, he was elected to the Board of the Glass Arts Society and recently received a Fulbright Specialist Fellowship to teach his plasma art overseas. Michael Flechtner was born and raised in Tiffin, Ohio. He received a BFA in sculpture from Columbus College of Art and Design in 1981 and an MFA in sculpture from Wichita States University in 1984. Flechtner had an early interest in colored light and electronics, which he incorporated into some of his first artworks while a student at Columbus College. He enrolled in a 6-week neon fabricating class in Kansas, which taught him enough hands-on skills to work in a neon sign shop, after relocating to Los Angeles. He pursued commercial neon by day and his own sculptural neon by night at his own studio in Van Nuys. His best-known public work in Los Angeles is the “Neon Aquarium” at Olympic and Sawtelle, done in 1998. In 1999 he became a J. Paul Getty Trust Fund Fellow, which recognized his unique work in neon. And most recently he garnered much attention when he was commissioned by the USPS in 2011 to design a postage stamp for the Forever series: the “Neon Celebrate!” stamp. In addition to his own work, he does neon fabricating for other artists including Bruce Nauman, Laddie John Dill, Frank Romero, Stephen Antanakos, Michael Hayden, AVAF, Doug Aitken, Dan Attoe, Alexandra Grant and Betye Saar. Jean-Jacques Dupré is in-house counsel at Materia, Inc., a specialty chemical technology company in Pasadena, where he works in the areas of corporate strategy, corporate development, finance and legal affairs. Prior to joining Materia in 2011, he worked at Goodwin Procter LLP, Mayer Brown LLP and Orrick, Herrington and Sutcliffe LLP, where he acted as corporate counsel to both private and public companies, financial institutions and investment funds. JJ’s practice consisted of structuring, negotiating and documenting complex corporate transactions, including joint ventures, mergers, acquisitions, dispositions, debt financings, equity financings and other transactions. He also provided general corporate advice to start-up companies and nonprofit corporations. JJ received his J.D. and an M.B.A. from Loyola Law School, where he was the Articles Editor of the Loyola Law School International and Comparative Law Journal. He received his bachelor’s degree from the University of Southern California. He is a Loyola Law School Faculty Academic Honors Scholar, St. Thomas More Law Honor Society Member and Phi Delta Phi Honor Society Member.